It’s been a very up and down journey in my trial of The Betting Mastermind, quite literally, as every winning month has been followed by a losing one. I did manage to finish with a small profit of 3.2 points in the end but the ROI of 0.3% left a lot to be desired. 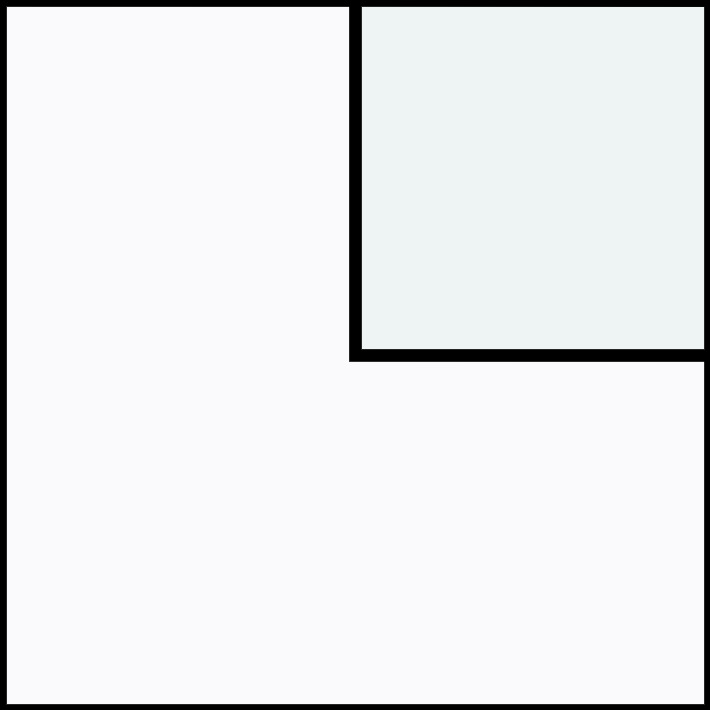 I do think Stuart might be on to something here with his place laying system, but it seems like a slow burner from what I have experienced during the past four months. I have found the system a little time consuming as well, as for the recommended V2 strategy that I have been following there are filters that have to be checked before each race. I have not been able to find any software/bots that can automate the process so far, so I have had to manually check that each selection is a qualifier a few minutes before the off. This isn’t a service that I can wholeheartedly recommend as there just hasn’t been enough profit to justify the time that it takes out of each day. Saying that though, I didn’t lose any money and I think if there was a way to automate the betting process I may have been more willing to keep following the service. A couple of good months could see Stuart hit that 7-10 points per month average profit target that he aims for. I have to go by what I experienced for myself during the trial, so I have decided that this service deserves a neutral rating. Click here to find out more about The Betting Mastermind. I’m delighted to report a very swift recovery for The Betting Mastermind service with a profit of 14.72 points this month, which was more than enough to cover last month’s disappointing loss. I’m now in profit by a total of 8.72 points for the whole trial, which is quite impressive given that all of the betting has taken place on Betfair. It’s notoriously difficult to make a profit at BSP, but it seems like this laying service may be on to something. There were a total of 80 place lay selections this month and 62 failed to place in the races, making it the highest monthly strike rate in the trial so far of 77.5%. 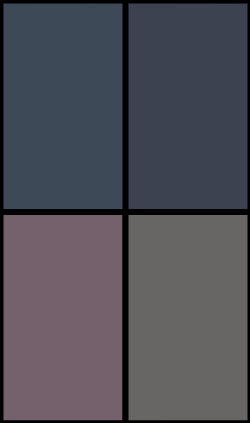 Results for my trial so far are available to view here. The tipster says that he aims to make between 7-10 points profit per month on average over a year, so my plan is to keep tracking bets for a bit longer to see if he can get a bit closer to this now that the flat season is underway. 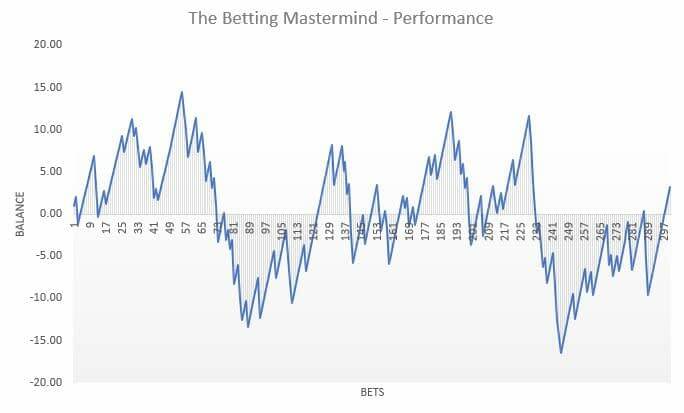 I will be back next month with more results, but in the meantime find out more about The Betting Mastermind here. In my last update you heard about how my bank for The Betting Mastermind had been steadily building and had hit a new high of 64.53 points. Unfortunately, things have not been going so well since then and all of the profit made has dwindled away. The second month of my trial saw a loss of 13.63 points which adds up to -6.00 points in total for the whole trial. Tipster Stuart acknowledged the losing month in a recent email but says it is his first losing month from 10, so there is no need to panic at this stage. He has put it down to a few contributing factors including the poor weather and the changeover to the flat season. The full results log is available to view here. For new members to the service this is a frustrating time, but fingers crossed this is the bad run over and done with for a while and the service can begin to recover. I will be back next month with another update, but in the meantime you can find out more about The Betting Mastermind here. It’s been a positive start to my trial of The Betting Mastermind with a 15% growth to my allocated bank of 50 points in the first month. I have been staking to win 1 point per lay, which works out as 1.05 points to cover 5% Betfair commission. This has given me a profit of 7.63 points at the end of month one with an ROI of 5.5%. There were 49 qualifying lay bets for the V2 strategy and 37 of them failed to place, which is a strike rate of 75.5%. Unfortunately, I have not found a way to automate betting on these selections with the V2 filters, so I have been placing my lays manually 5 minutes before each race. Thankfully there aren’t too many bets so it is manageable. 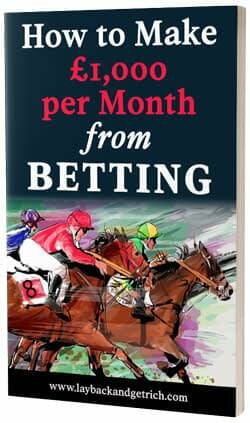 The Betting Mastermind seems to be quite a steady service to follow going by what I have seen so far. My bank has gradually been increasing and although there was a dip towards the end of the month, there was a swift recovery. In the meantime, click here to find out more about The Betting Mastermind. I’ve been inundated with emails from people wanting me to test their betting systems, but I only have so much time alongside my day job so for the moment I am having to be a bit picky. One of the systems that has caught my eye is The Betting Mastermind which is a horse racing laying service with a difference. The difference is, this service focuses on laying the horses to place in the race rather than laying them to win. Stuart Neill, founder of the service, has developed his strategy over many years. He updates his results regularly to the website and since June 2017 he has reported a profit of £6,595 to £100 lay stakes using V2, the “strategy of choice”. I have been provided with a user guide which explains how the two main strategies work, although V1 isn’t recommended. The filters are simple, but it seems that each race must be monitored just before the off in order to make sure the selections are valid. It may be possible to get a bot working, so this is something that I will look into. I will begin testing the V2 strategy using a 50 point bank as recommended. Stuart advises recalculating stakes each month providing it has been a winning month, to allow the bank to grow quicker as the profits are coming in. 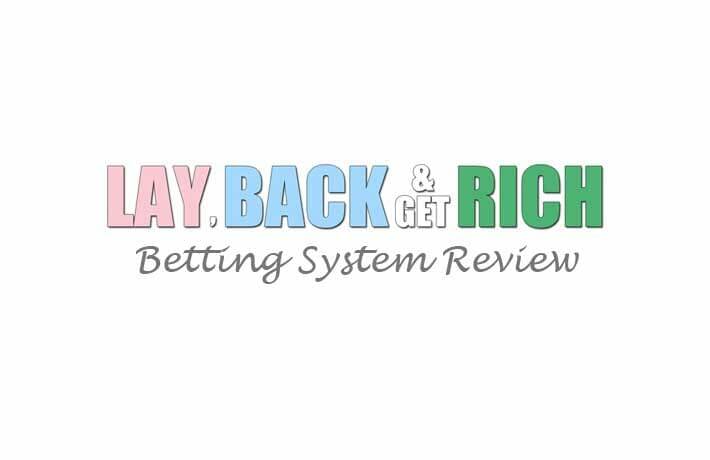 Check back next month for my first results and in the meantime you can find out more about The Betting Mastermind here.